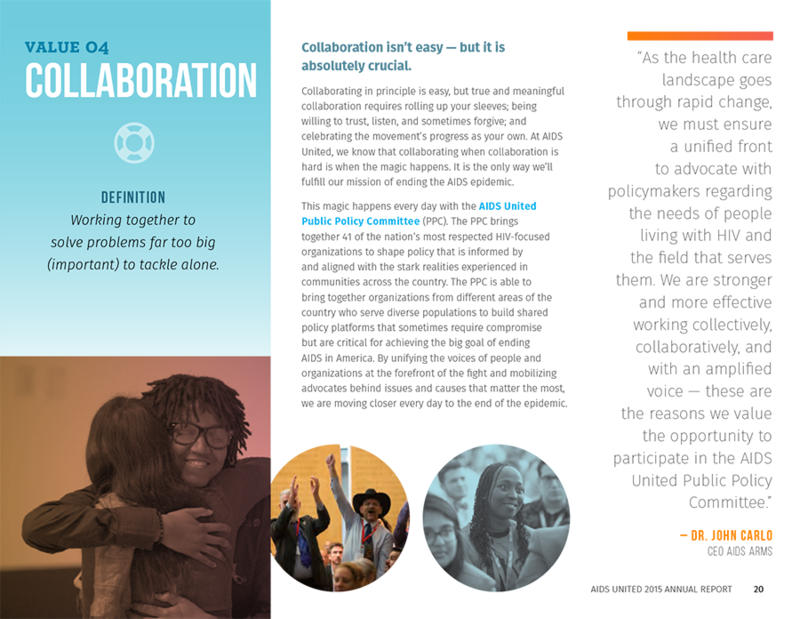 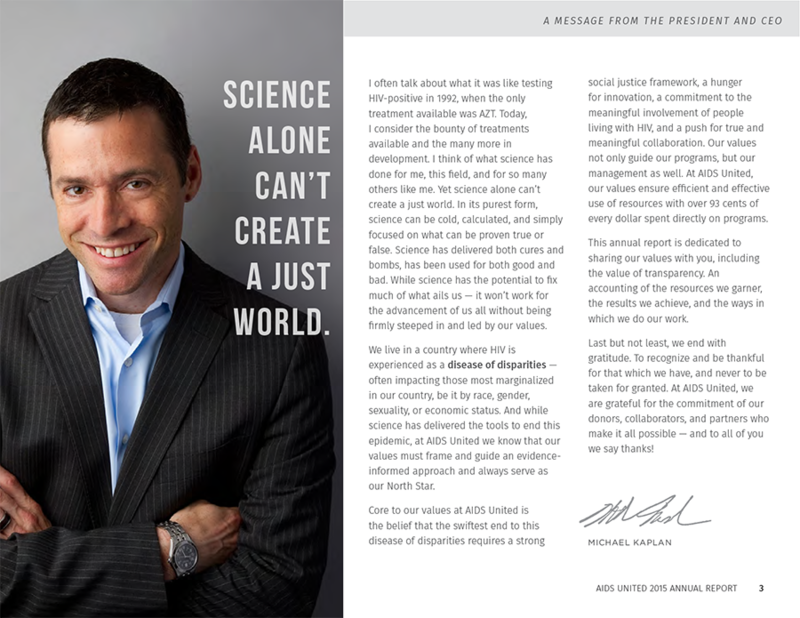 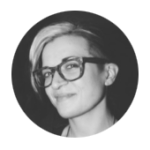 I simply adore working with AIDS United, and I am proud to have been part of telling the story of the incredible work they’re doing to end the HIV epidemic in their 2015 annual report. 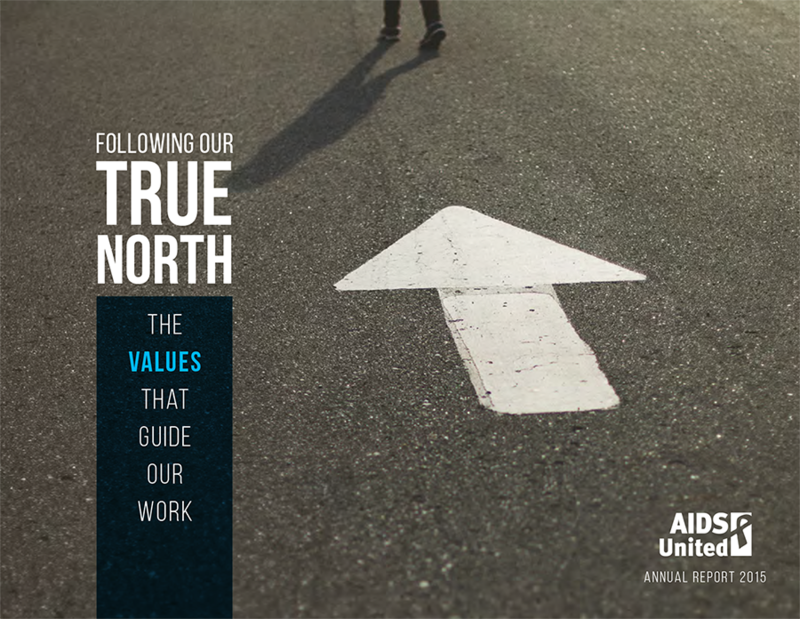 We invite you to explore our values, learn about the impact of our programs, and hear how we are working earnestly towards achieving our mission of ending AIDS in this country in our 2015 annual report, Following Our True North – The Values that Guide Our Work. 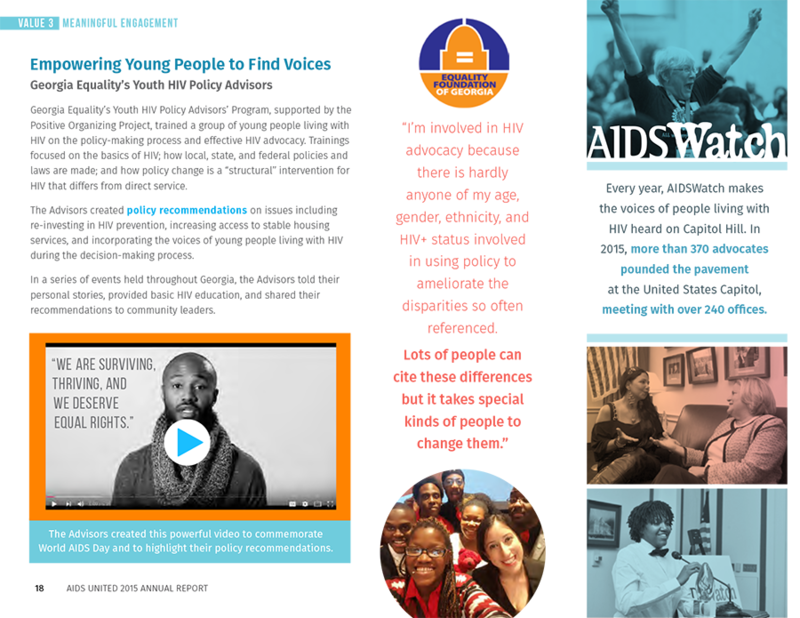 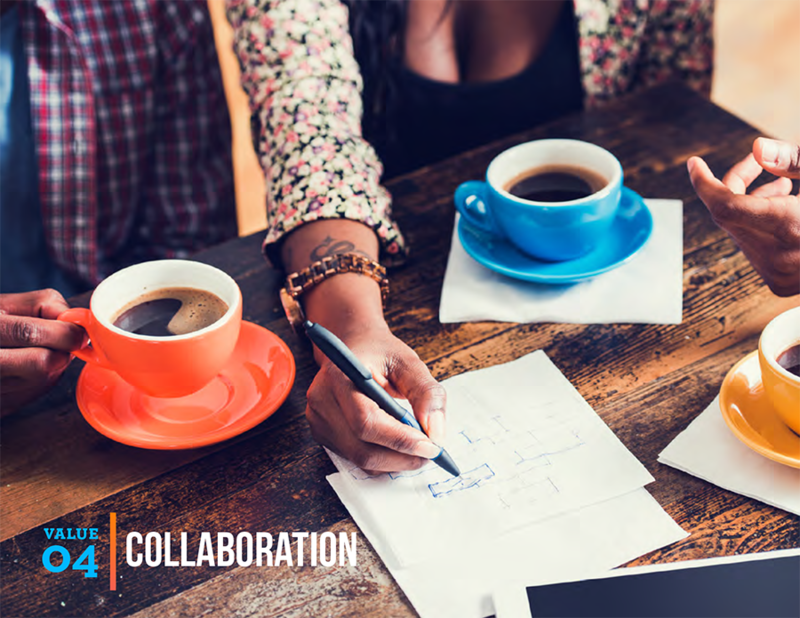 Visit the report microsite and download a PDF of the report here.